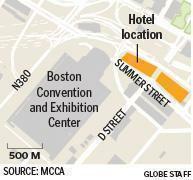 A hotel planned near the Boston Convention and Exhibition Center would help address a shortage of rooms in the area, officials said. The Massachusetts Port Authority and the Massachusetts Convention Center Authority will jointly try to develop what could be the largest hotel in Boston — a 1,200- to 1,500-room complex near the city’s convention center in South Boston. Approved by the boards of both agencies Wednesday, the venture will seek out developers to build a new headquarters hotel on Massport land across from the Boston Convention and Exhibition Center near the corner of Summer and D streets. It would be one of the largest hotel projects in the country, according to the convention center authority. The headquarters hotel project is contingent upon legislative approval of the convention center’s proposed $2 billion expansion, which would double the exhibition and meeting space at the South Boston hall. 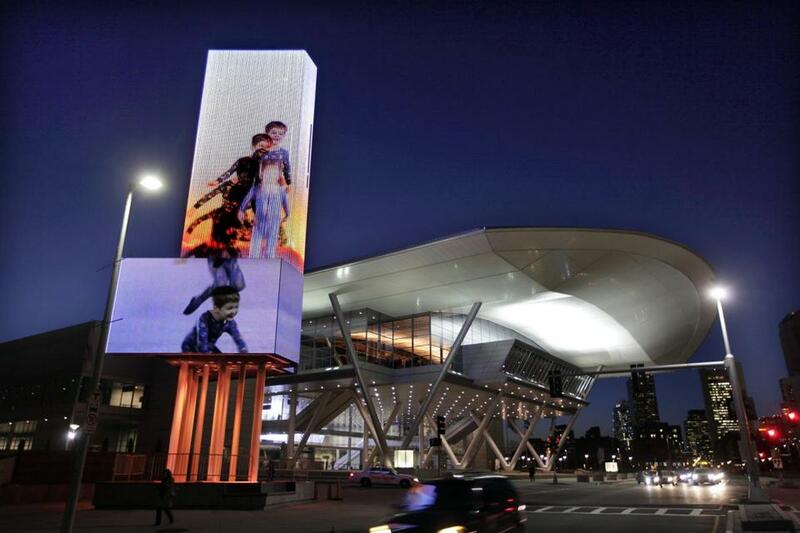 If built, the hotel would go a long way toward solving what the authority says is its chief drawback to enticing large trade shows to Boston: an acute shortage of rooms within walking distance of the convention center. “It’s critical,” James Rooney, executive director of the convention authority, said of getting the headquarters hotel off the ground. Boston hotels are already at capacity, and the Seaport District is particularly in need of more lodging. The area requires an additional 2,300 hotel rooms just to meet current demand, according to the convention authority. And if the center is allowed to expand, then the area would need as many as 6,000 new rooms. Already the authority has moved to alleviate the shortage with the construction of two hotels — a 330-room Aloft hotel and a 180-room Element hotel, both to be operated by Starwood Hotels and Resorts Worldwide Inc. — set to start by the end of the year. Once the headquarters hotel is underway, Rooney said, the next critical step is the 320-room expansion of the Westin Boston Waterfront next to the convention center. Rooney said getting this first wave of hotel development in place is key to enlarging the convention center. “We’d be on a fool’s errand to expand the BCEC without additional hotel rooms,” Rooney said. The authorities plan to begin seeking out developers to construct and finance the headquarters hotel complex. The developer would enter into a lease agreement with Massport, which has similar agreements with other hotels and buildings in the area. In many cases those lease payments to Massport are tied to the property’s performance. The headquarters hotel is expected to have between 1,200 and 1,500 rooms and create 2,000 construction jobs and nearly 1,000 permanent jobs. Originally, the headquarters hotel was slated to have 1,000 rooms.